Apollo is a 4-year-old male Staffordshire Terrier. He is a timid dog around strangers and it takes him awhile to open up to new people. Once he has formed a bond with you, he becomes an open and trusting, loving and playful dog. Apollo would do well with an owner that understands terrier breeds and timid dogs with resource guarding behaviors. Apollo knows many commands including sit, lay down, and shake. He is a pint-sized couch potato and loves to snuggle. He would do best in a home with no small children or other dogs. 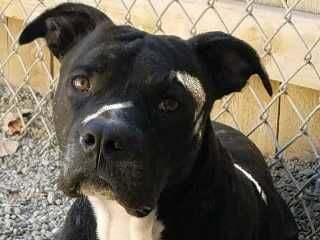 See Apollo at the Missoula Animal Control, 6700 Butler Creek Road.